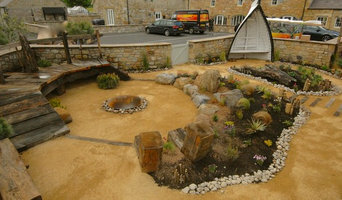 We are an established Award Winning Landscape Design and construction company serving the North East of England. Offering the highest standards from start to completion, we specialize in creative garden transformations, producing contemporary or classical designs for your outdoor living spaces. We offer a full consultancy service , and over the last few years have been involved in the design, construction and maintenance of living walls and roofs. We have a dedication and enthusiasm for landscaping and creating an environment suited to the properties and surroundings with which they sit. Often using natural and local materials to enhance a project, we then add our own personnel and unique style to the finished presentation. We are a Garden Design & Landscaping Firm based in Hexham who specialise in bespoke garden design and implementation serving Northumberland and Tyne and Wear. We provide the full package from initial design ideas (Hand Drawn if required) right through to project installation and completion working closely with clients at every stage of the design process to create unique practical Landscapes according to their individual needs. Maintenance Schedules are also available upon request. GREENFINGERS IS AN AWARD WINNING LANDSCAPING COMPANY COVERING TYNE & WEAR AND CO DURHAM AREAS. elmfield gardens was established by me, Jo McCreadie, with the aim of providing a professional design, implementation and project management service to private individuals. After graduating from Sheffield University with a MA in Landscape Architecture I worked in both public and private sectors before setting up elmfield gardens. During this time, I gained 20 years experience in landscape architecture, construction and project management on a wide variety of projects. Many of the schemes I worked on will be very familiar to those of your in the North East of England. My passion, skills and experience are now dedicated to transforming your garden. Replica Landscapes provides a wide range of artificial planting solutions for a diverse range of customers worldwide. We specialise in bespoke artificial plant creations, whether they are indoor or outdoor. For a successful relationship to flourish, we believe it’s important to begin the process with a thorough consultation. Why? Because we want to make sure we get it right and come up with a solution and a result that will excite you. Once we’ve ticked off the planning phase and you’re 100% happy with the concept we’ve established for you, we’ll then begin to implement the idea. We can install your artificial planting with a high degree of care and professionalism calling on our years of technical and creative know how. Regardless of your sector or needs, we promise that the work we do for you is on time, reliable and will exceed your expectations. And remember, no project is too big or small. From large scale campaigns where you need us to create and install your artificial greenery to a buying a simple plant from our online store, we’re ready to make the difference. we are a design and build garden construction company. GARDEN LANDSCAPING Premier Gardens (a Newcastle upon Tyne based company) specialises in all aspects of garden design, landscape construction and domestic commercial garden maintenance. Whether your garden is a haven of plants and wildlife that you can escape to, a place for BBQs and entertaining or a practical outdoor space for work or play, we will turn your vision into reality. We will discuss all aspects of your design requirements, and we can offer any suggestions to compliment your own design ideas. From low maintenance to something you can add to and develop. I often think that I grew up in a garden rather than a house. My large family lived in a 'retired' boarding school dormitory house in Reading with an acre of garden, at least half of which was orchard and soft fruit bushes. My earliest memories are of being wheeled about (at a great speed!) in a wheelbarrow, picking blackberries from the huge hedge, topping and tailing gooseberries, swinging from the beautiful walnut tree and failing to grow wallflowers that I sowed in a bare patch of earth next to a wall. Independent garden design services to suit individual clients' needs with a personal touch. 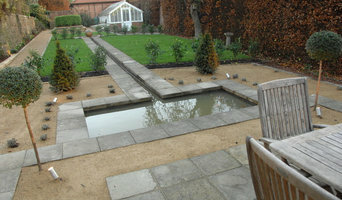 A bespoke design and build landscape and garden design company. A family business with a high level of personal service. A landscape architect will handle all design, supply, construction and administrative elements of your garden or landscaping project. They will take into account your needs, the Newcastle upon Tyne, Tyne & Wear climate and unique advantages and constraints of the landscape architecture. Typically, work will be based on ecological and environmental considerations, and a garden will be planned not only to look its best but also to facilitate future maintenance and growth so that it continues to flourish. A Newcastle upon Tyne, Tyne & Wear landscape architect can also design any outdoor buildings that are to be featured in your garden. Everything from design blueprints through to the plants themselves should be provided by your Newcastle upon Tyne, Tyne & Wear landscape architect. If there is other architectural development taking place on your site, bring the landscape architect in as early as possible. The expertise a landscape architect can apply to understanding your space and the natural environment could be vital to planning your project. Let your Newcastle upon Tyne, Tyne & Wear landscape architect work closely with your architect, surveyor and any other contractors in order to develop landscape architecture that works in accordance with any other construction. This is important from a design perspective as well as on a practical level – changes to the grading of a landscape and modifications such as drainage can have serious implications on the viability of your land for extensive building and structural works. In order to resolve any planning permission issues, submit all applications for building and landscape architecture together, well ahead of the project. The scope of garden designers, or landscape gardeners, is often more limited to green space projects which will optimise your existing outdoor space rather than altering the landscape architecture as a whole. Whereas landscape architects specialise in the structural aspect of garden planning and building, garden designers in Newcastle upon Tyne, Tyne & Wear will carry out projects that are of aesthetic and horticultural value. Landscape gardeners will make your garden the best version of itself with features such as walkways, patios, water features, fences and lighting, as well as choosing the right plants, trees and flowers. The practical role of a garden designer may vary by firm – some offer just the plans, requiring a separate contractor, while others fulfil the project in its entirety, from conceptualisation of the landscape gardening to construction. Don’t be put off by the former if you happen to find a good Newcastle upon Tyne, Tyne & Wear garden designer that you like – he or she will have local industry connections to introduce you to quality, reliable gardening professionals with whom they have existing relationships. Here are some related professionals and vendors to complement the work of landscape architects & garden designers: Landscape Contractors, Garden & Landscape Supplies, Tree Services, Lawn & Sprinklers, Decks, Patios, Sheds & Summerhouses. 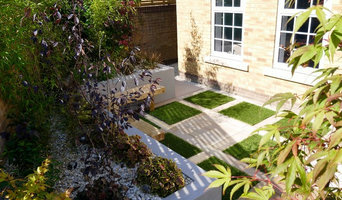 How do I choose landscape architects or garden designers in Newcastle upon Tyne, Tyne & Wear? When choosing your Newcastle upon Tyne, Tyne & Wear garden designer or landscape architect, be sure to research their qualifications and look at examples of their previous work. A portfolio of previous landscape architecture or garden projects is important to ascertain both their credentials as well as their style. Once you have shortlisted or chosen your architect or designer, an on-site meeting is essential so they can see exactly what they’ll be working with. Stay briefed on all plans and developments, both before and during the project as a plan you approved previously may change during the course of the project. Be very clear on your budget – just like plans, costs may alter while work is underway so ensure your professional keeps you informed and does not incur additional expense without approval. If you are open-minded and budget-conscious, consider approaching new graduates keen for experience, who may negotiate a lower rate than more experienced professionals. How long have you been landscape architects or garden designers in Newcastle upon Tyne, Tyne & Wear? Find a landscape architect or garden designer on Houzz. 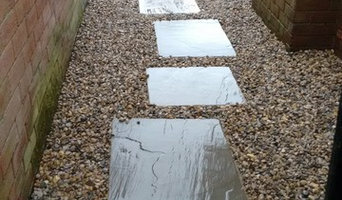 Narrow your search in the Professionals section of the website to Newcastle upon Tyne, Tyne & Wear landscape gardeners. You can also look through Newcastle upon Tyne, Tyne & Wear photos to find a garden you like, then contact the garden designers in Newcastle upon Tyne, Tyne & Wear who worked on it.